There are challenges ahead. Maybe we have already discovered the latest challenge in our life. 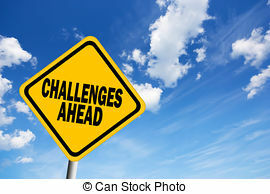 The challenges may be tough stuff over which we feel we have no control and really do not want to accept them let alone try and thrive while experiencing them. 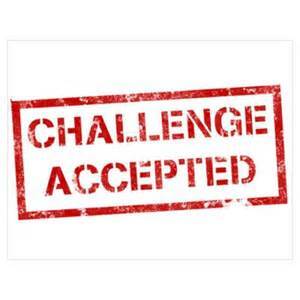 The challenge may be something new you are starting – a new job, place to live, school or learning a new skill. Each type of challenge comes with its own set of rules and effect on our lives. The tough stuff requires our faith to be strong, helping hands to come along side and digging deep for courage, hope and finding the positives in the middle of the tough stuff. I am reading a friend’s posts on facebook as she goes through a tough journey with cancer. I appreciate her positive attitude, even as she shares how hard it is and how tears come often. She accepts prayers, visits and help from family and friends and posts pictures of the blessings of a view of the sunset through her window, the care of the staff in the hospital and stories or jokes that have helped bring a smile. She is in the middle of a challenging part of her life and yet she is thriving by believing that God has a plan and is the God of all possibilities. Other challenges are learning times for us. I have accepted a challenge from my grandson, Nathaniel, to try and write fiction. It means I have needed to read my favourite genres with a more observation. What makes them readable? Why do I like them? What has the author done to capture and hold my attention? It means I need to learn more about writing skills and then practice them. I need to discover my style and what it will take to hold the reader’s attention. 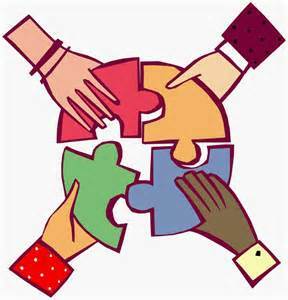 I also need to be willing to have help with editing to make it the best possible piece of writing I know how to do. The more I learn, the more I observe, the more I am willing to take the advice of more experienced writers, the better my writing will become. What challenges are you experiencing in your life? Are you thriving on them or in spite of them or are they breaking you down? What help do you have as you experience life’s tough stuff or the learning of a new skill? 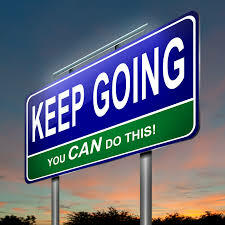 This road sign picture captures the premise of thriving on the challenges – keep going – you can do this. But I would like to add – you can do this – whatever the challenge is- with the help of God and those he puts in your life for such a time as this.